HYDERABAD, India (Morning Star News) – Pastor John Lakra was taking his 18-month-old baby to the hospital for emergency treatment in Odisha state, India when hundreds of Hindu extremists surrounded his car. 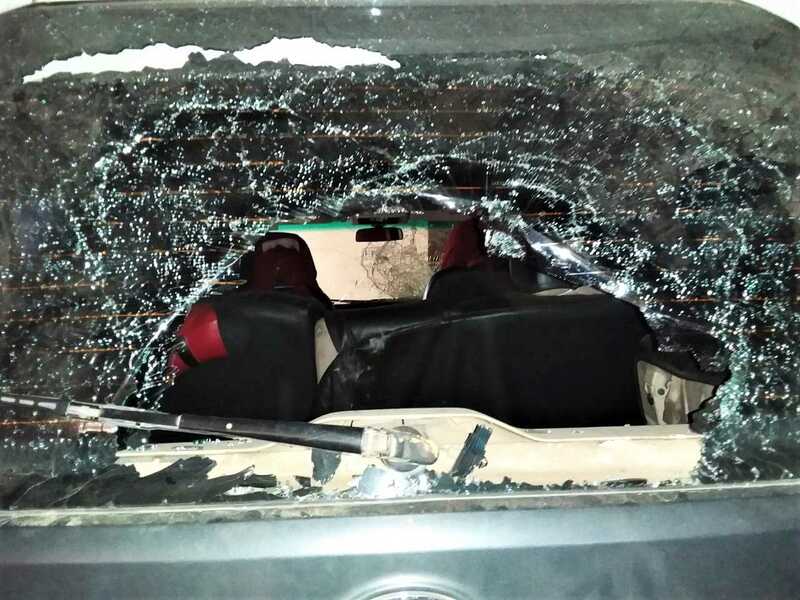 The pastor, his wife and their three children were on the way to the hospital in Sundargarh at about 7 p.m. on Oct. 23 when the mob began hurling stones at them and hitting the windows with rods as they shouted curses at him, he said. Earlier he had received word that Hindu extremists were looking for him regarding a text message and photo insulting the Hindu goddess Durga that a hacker had sent from his phone. He thought they only meant to talk with him. After throwing him onto the road and kicking him, they picked him up and forced him onto a motorcycle, he said. With hundreds following, they took him to a Durga idol and forced him to kneel before it even as they continued beating him, he said. Hindus shouted that he should be given as a live sacrifice to the goddess, the pastor said. Christians in Odisha practice their faith with awareness of how Hindu extremists burned to death Australian missionary Graham Staines and his two sons, 10-year-old Philip and 6-year-old Timothy, in their car in the state’s Manoharpur village on Jan. 23, 1999. At the police station, church members informed Pastor Lakra that hospital staff members managed to pull his wife and children from the mob, he said. They also brought him some clothes. Local Hindu extremists from the Rashtriya Swayamsevak Sangh (RSS) and Bharatiya Janata Party (BJP) came to the police station and demanded that he render an apology, he said. Sundargarh police booked him for “deliberate and malicious acts to outrage religious feelings” (Section 295-A of the Indian Penal Code), “promoting enmity between different groups on grounds of religion” (Section 153-A) and “criminal intimidation” (Section 506). A judge rejected his plea for bail, and he spent 10 days in jail. The pastor received bail only after an inspector from the Central Bureau of Investigation found that a hacker had forwarded the derogatory message from another source using Pastor Lakra’s WhatsApp account. The pastor was released on Nov. 1. He told Morning Star News he did not send the message insulting the Hindu goddess and did not know how it got sent from his phone to the 200 people in his WhatsApp group. The message was sent on Oct. 21, a Sunday, he said. Pastor Lakra, formerly a Hindu known as Shankar Kumar Lakra, on Oct. 23 had set out for Bagdi, 36 miles far from Sundargarh, on an errand to enable orphans to receive funding from the state government for their education. The baby has since been treated at the hospital. Pastor Lakra has faced opposition before. After graduating from a Bible college in 2011, he built a prayer center for healing the sick. About 15,000 people from all religions and classes of society came for prayer, and many who were healed put their faith in Christ and attended worship services, he said. In 2015 Hindu relatives of Lakra joined RSS leaders and other hard-line Hindus to file a case against him alleging that he had mixed poison into water served during Christmas season services. Police charged him with attempted murder, and he was in jail for 13 days before he was released for lack of evidence. “Police could not find any evidence against me, but the case is still on and I have to go to the court whenever they call,” he said. Since his release following the Oct. 23 attack, unknown people have knocked on his doors, broken light bulbs and damaged flower pots, he said. Also, a woman recently came to his home saying she knew many key BJP leaders and demanded 200,000 rupees (US$2,835) to close the cases against him, Pastor Lakra said. World Watch List 2018: India from Open Doors USA on Vimeo.